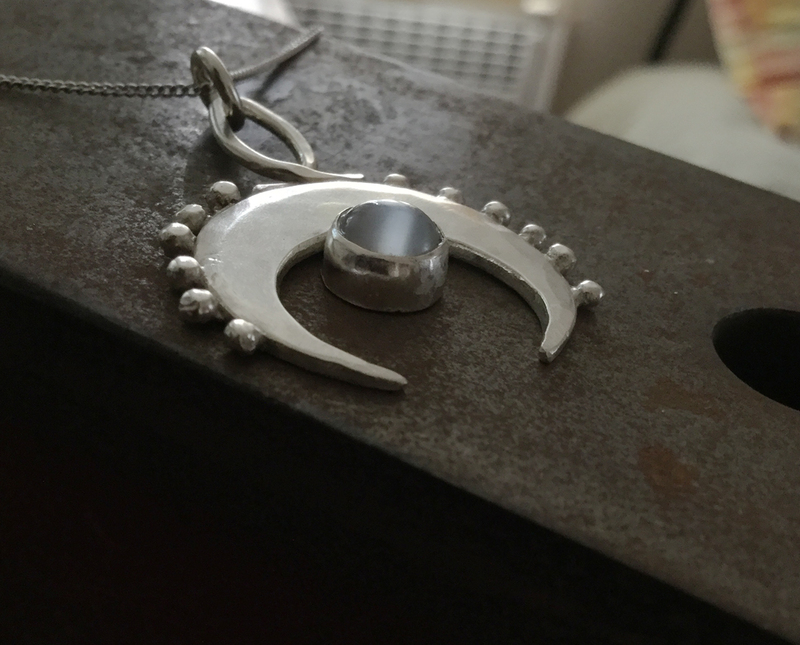 Kinda witchy. 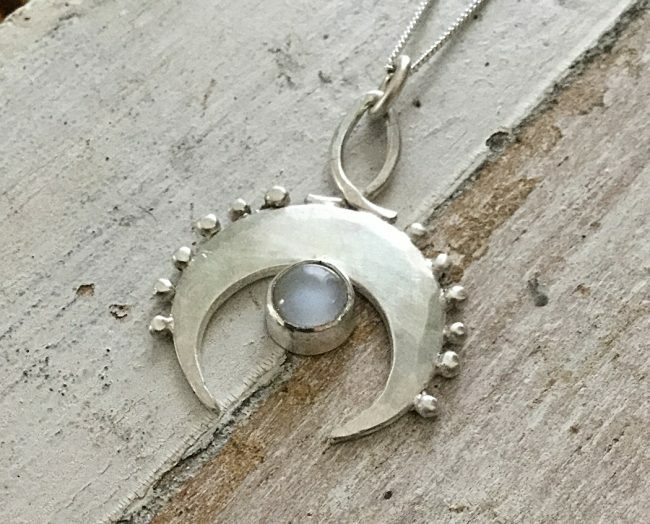 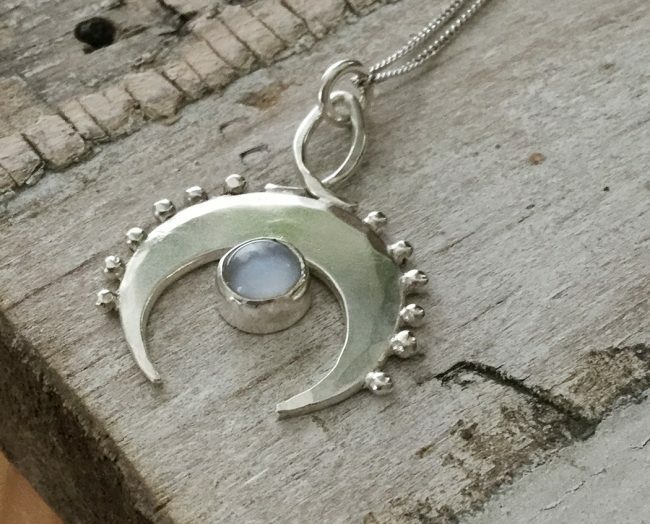 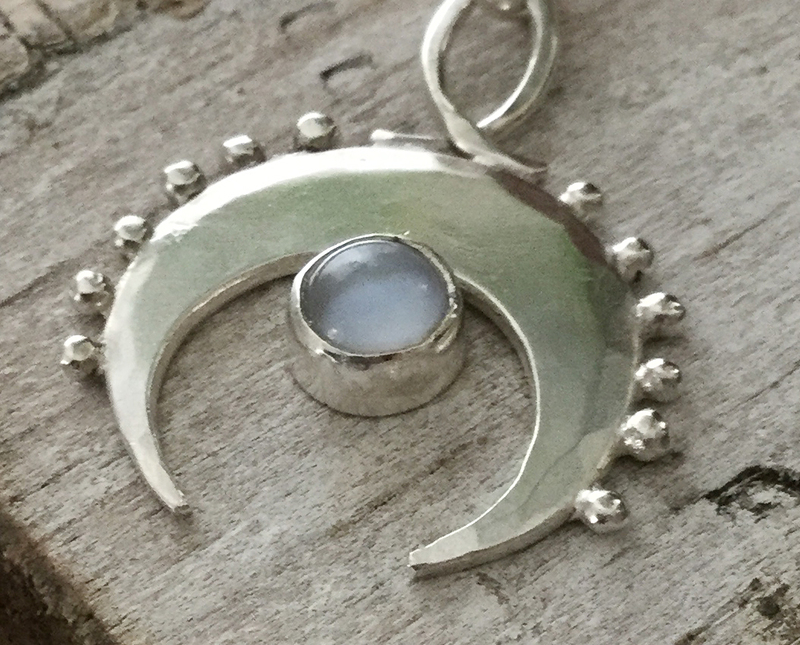 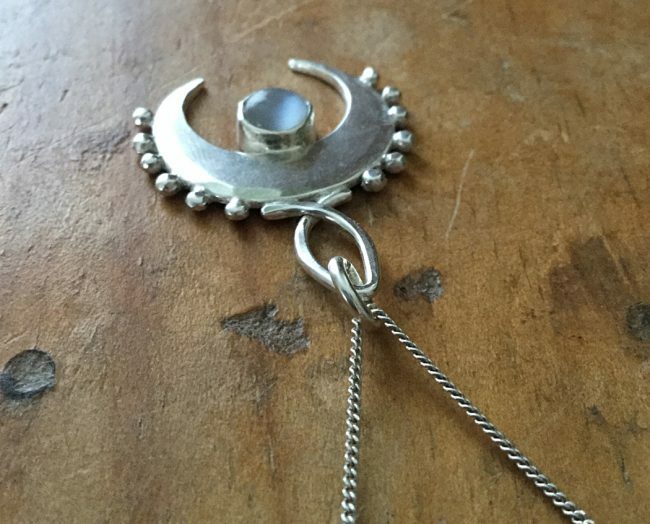 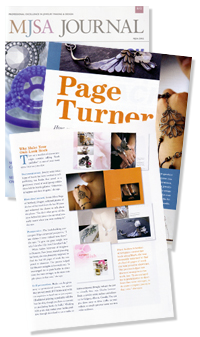 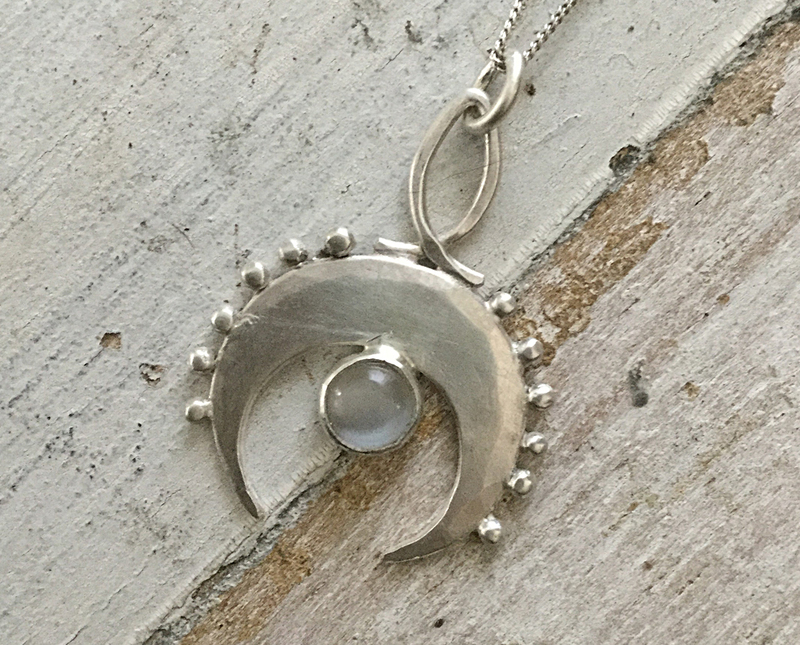 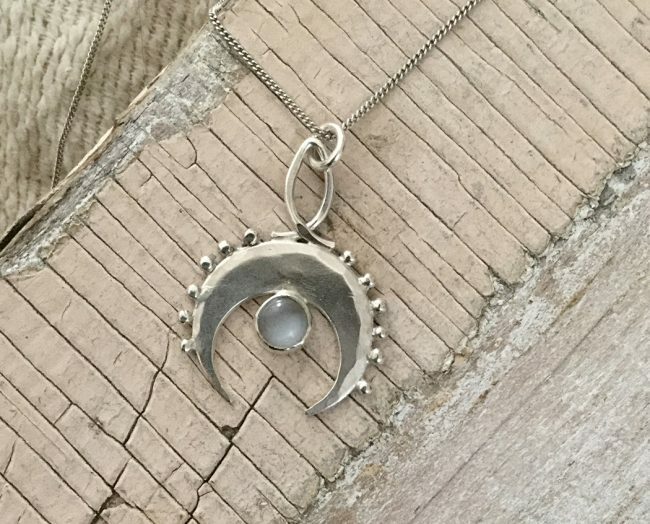 Double horn crescent moon with melted silver nuggets across the spine on either side of an elliptical bail, and a small bluish moonstone bezel set and tucked underneath the middle. 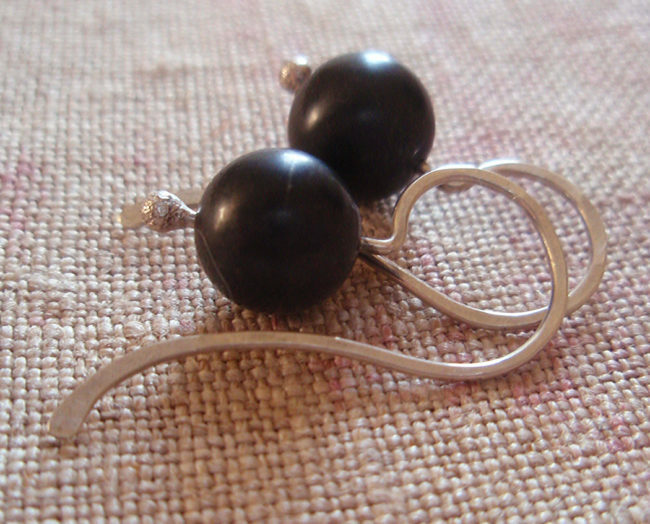 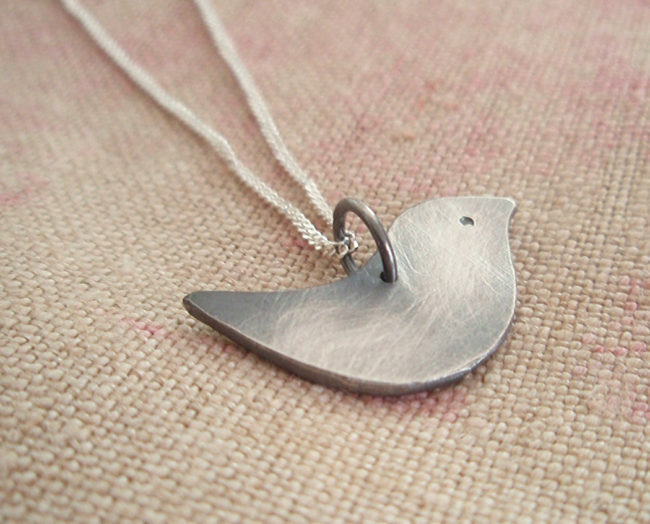 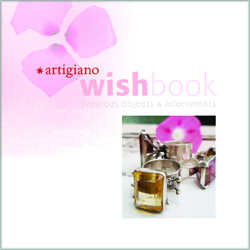 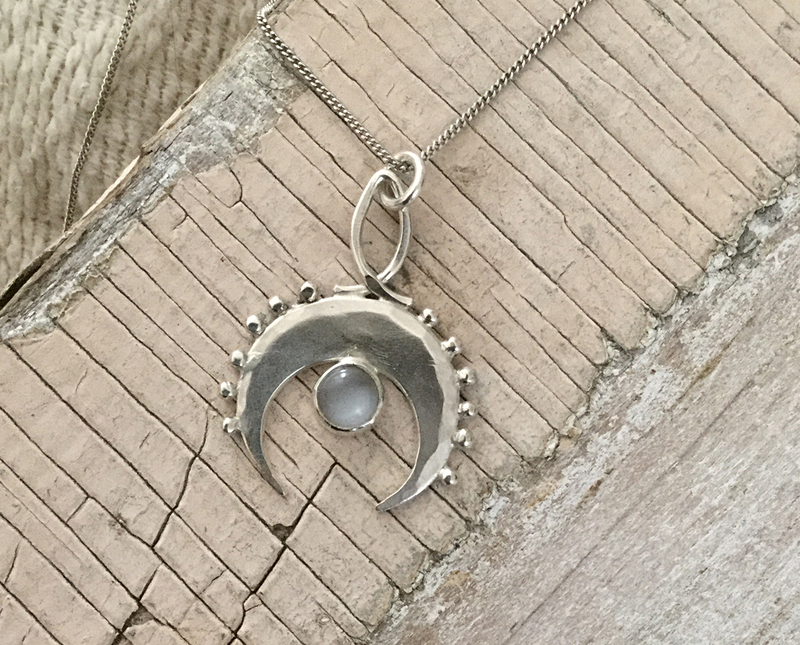 Sky watcher, star gazer, wanderer… a talisman for the restless to calm a vivid dream. 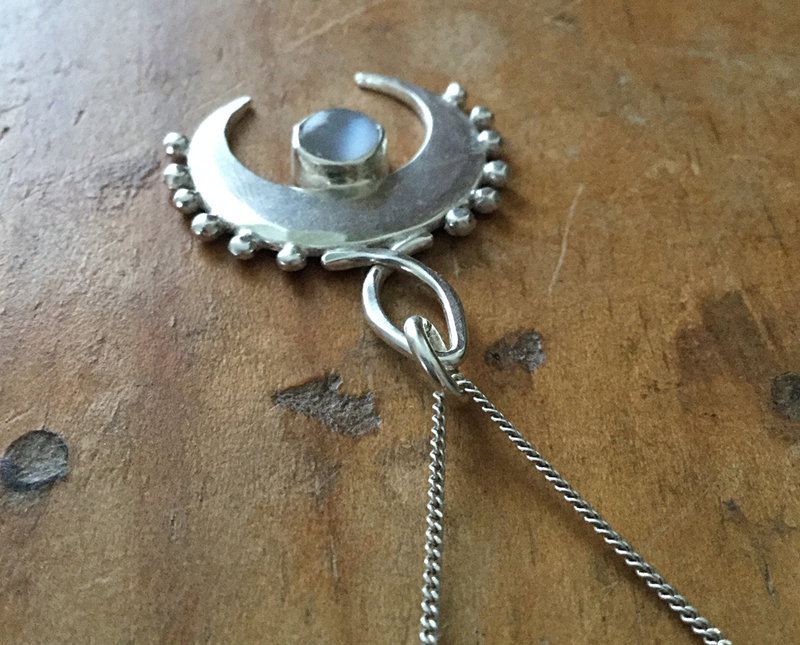 About 1 1/8″ across, 1 1/2″ top to bottom, very sturdy with a slight heft to it. 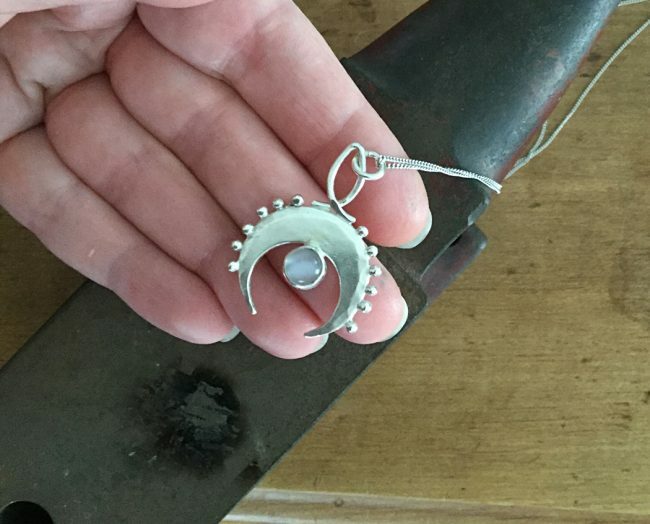 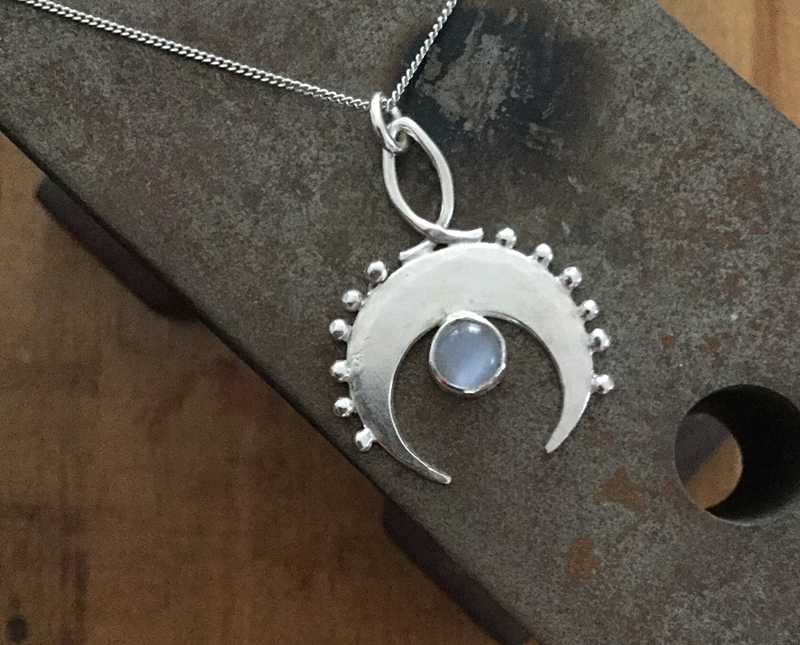 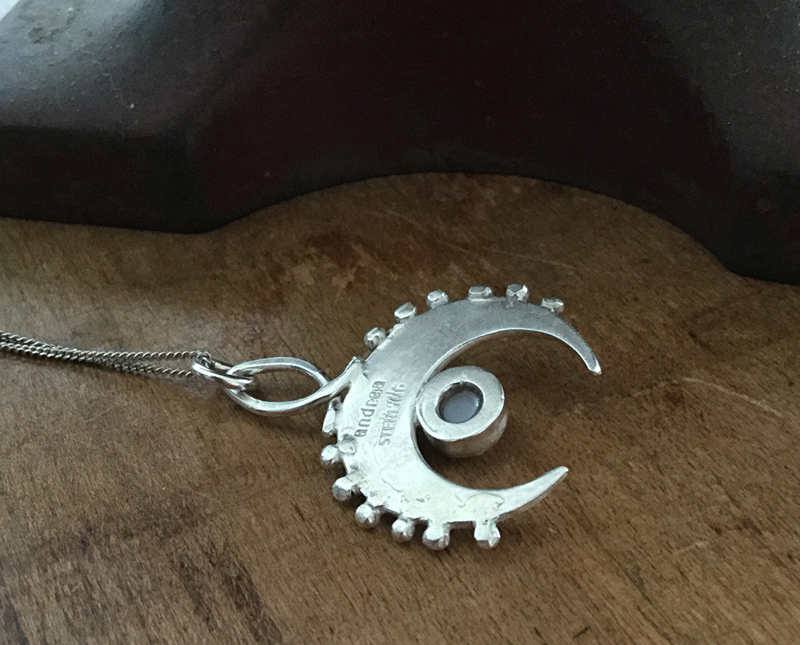 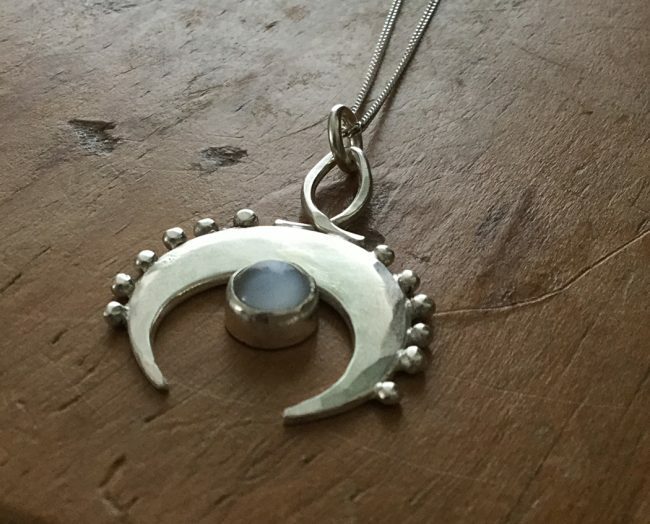 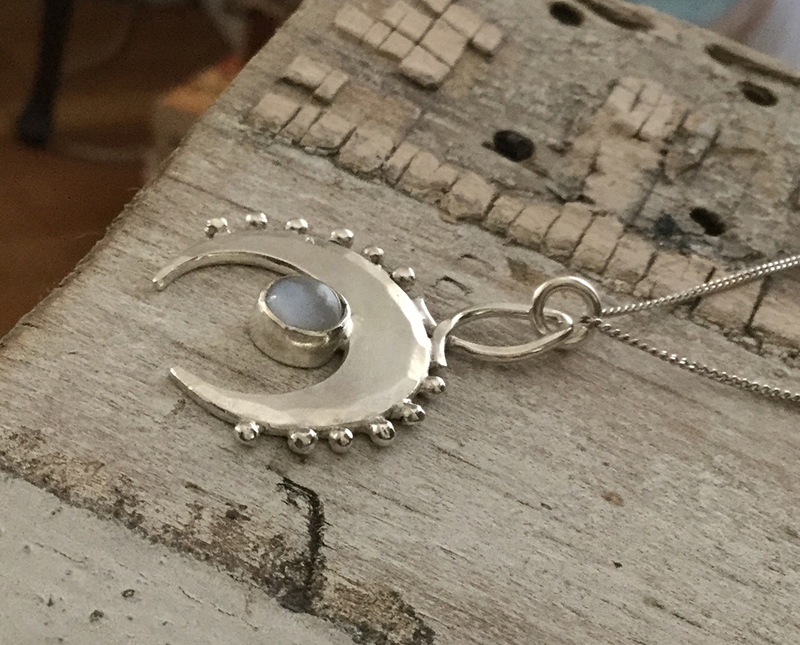 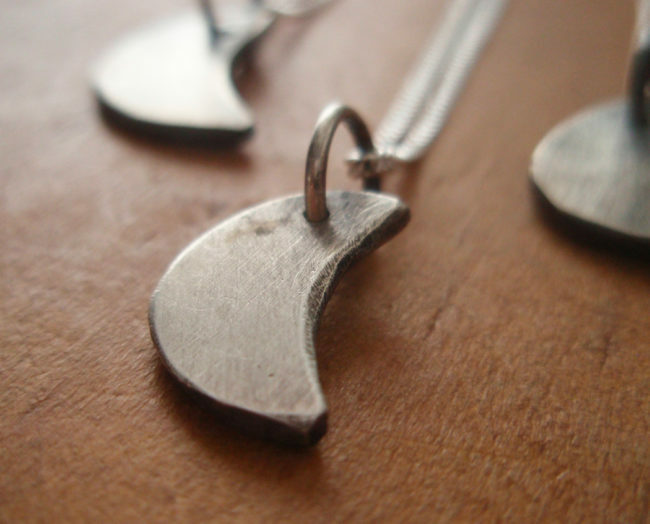 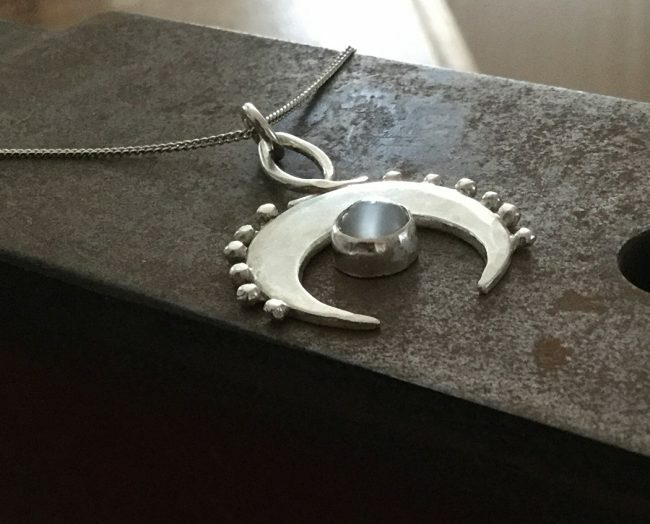 The double horn crescent pendant moon hangs from on an 18″ sterling chain.